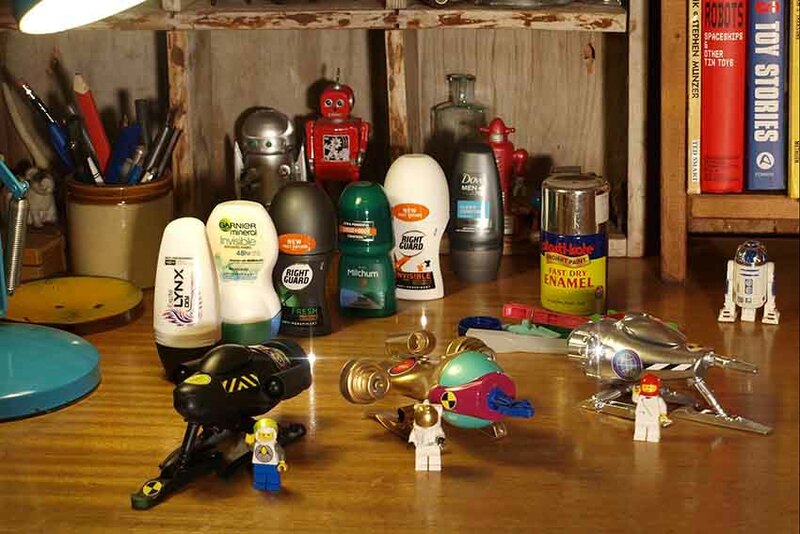 Empty deodorant sticks are used for making Star Racers. There are lots of different kinds to choose from. 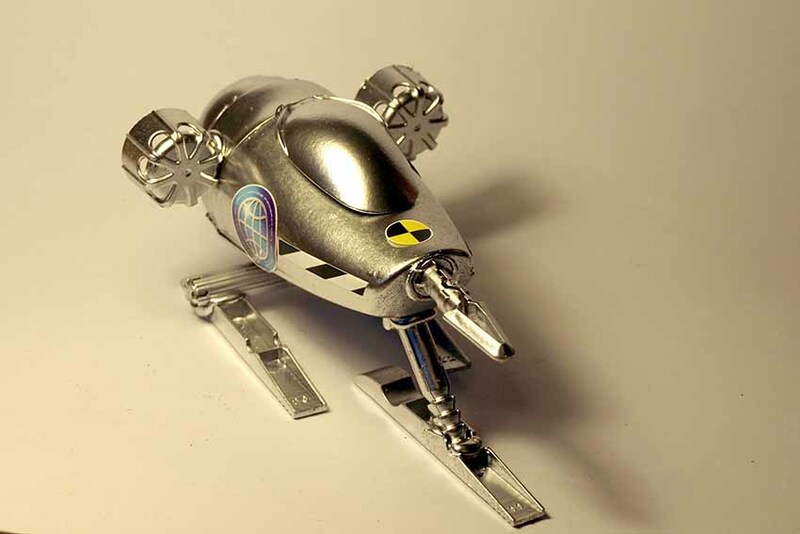 Glue a plastic felt tip pen top across the two peg halves to make a sled for your Star Racer. 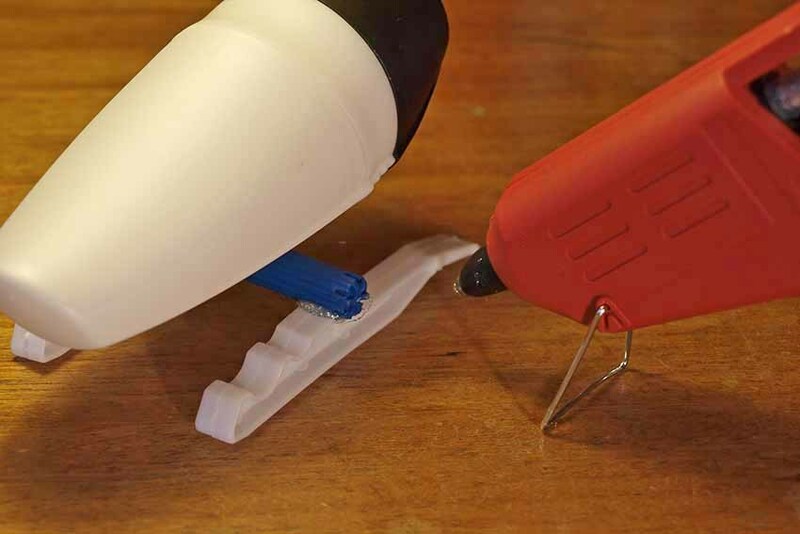 A glue gun is quick and easy. View your Star Racer from the back or front to make sure it is level. Do this quickly before the glue cools and sets. 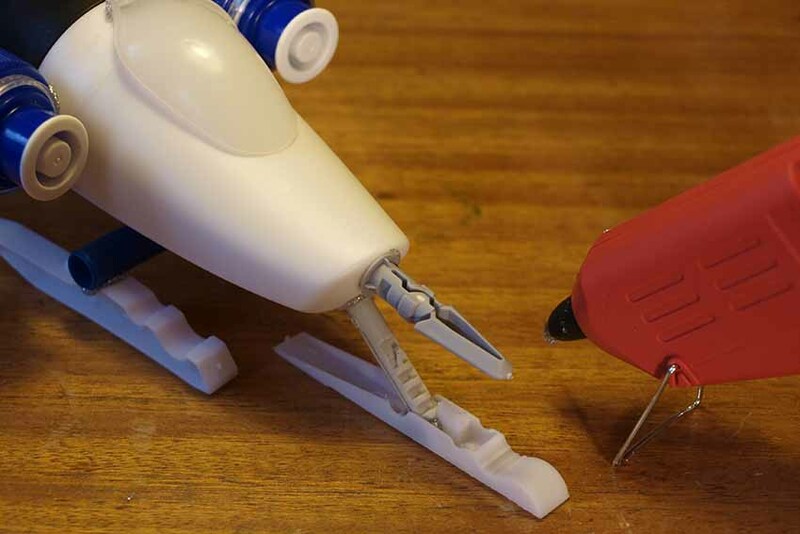 Now attach a pair of identical bottle tops, or large marker pen lids to the sides of the Star Racer for engines. 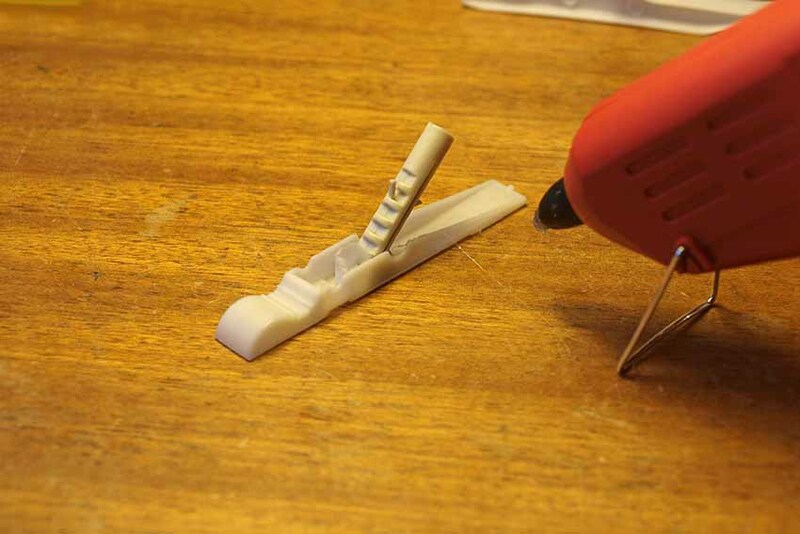 Before the glue has had time to cool and set, fix the spoon to the top of your Star Racer as a cockpit canopy. 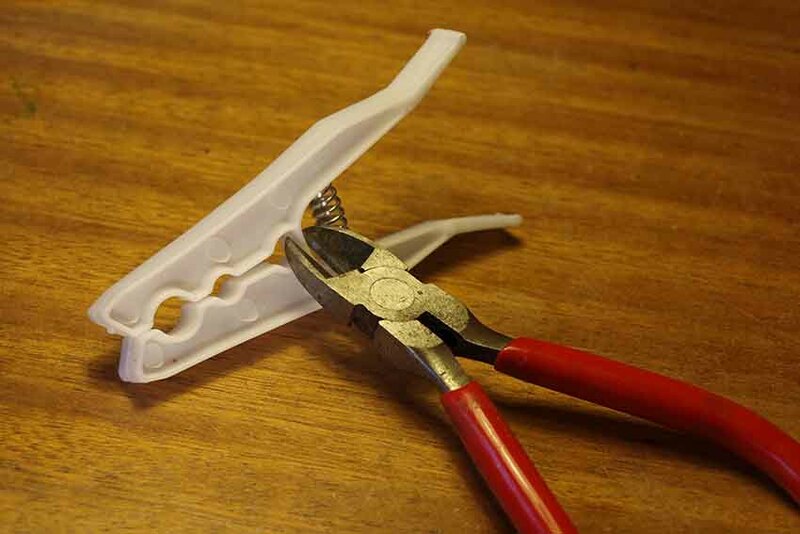 Twist or snip apart a plastic clothes peg. The springs are not needed, but may come in handy. 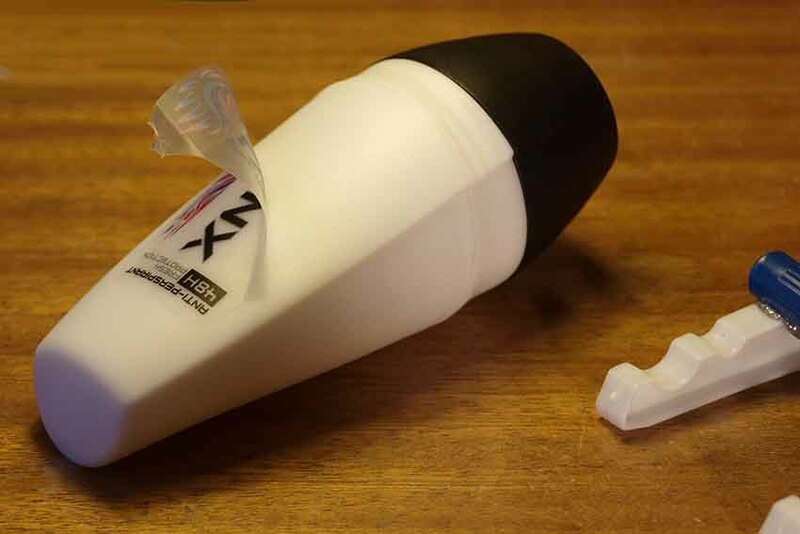 Peel the labels from the deodorant stick and make sure the outside surface is washed with soapy water to remove grease and oil. 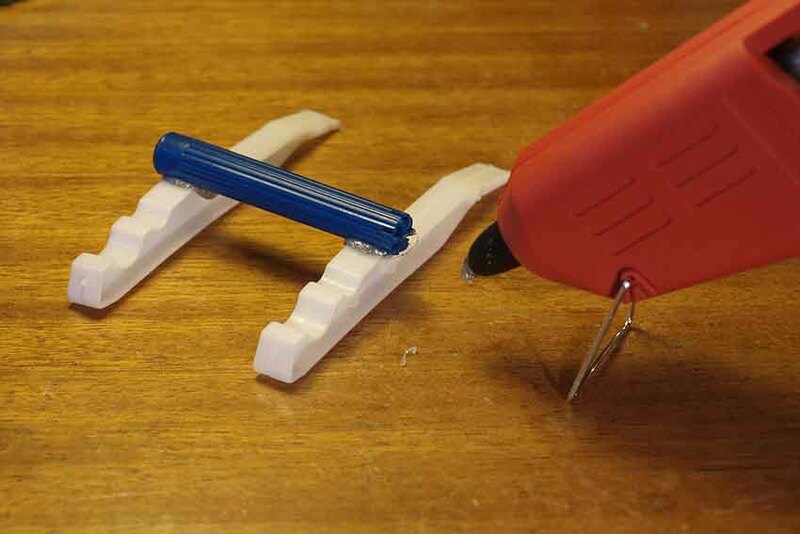 Glue a wall plug to a third peg half for a front landing leg. Hold it on an angle until the glue sets. Cut the handle from a plastic spoon. 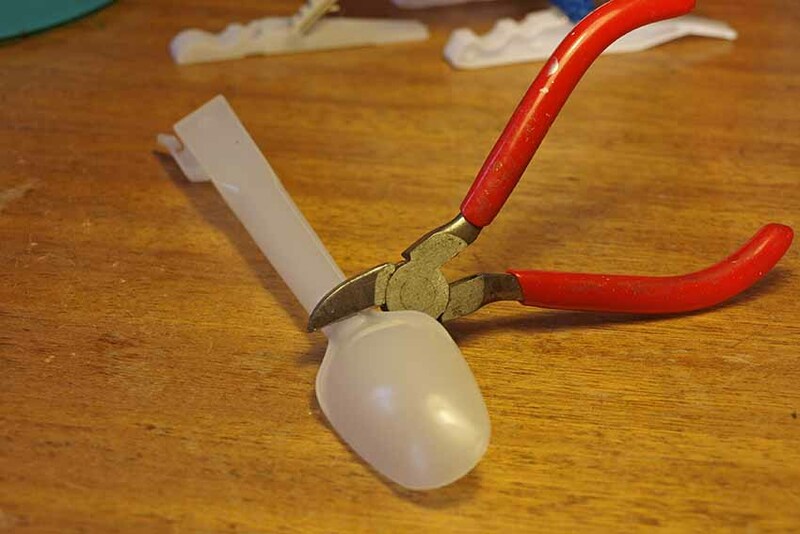 A McFlurry spoon is ideal as the plastic is soft and will not shatter when cut. 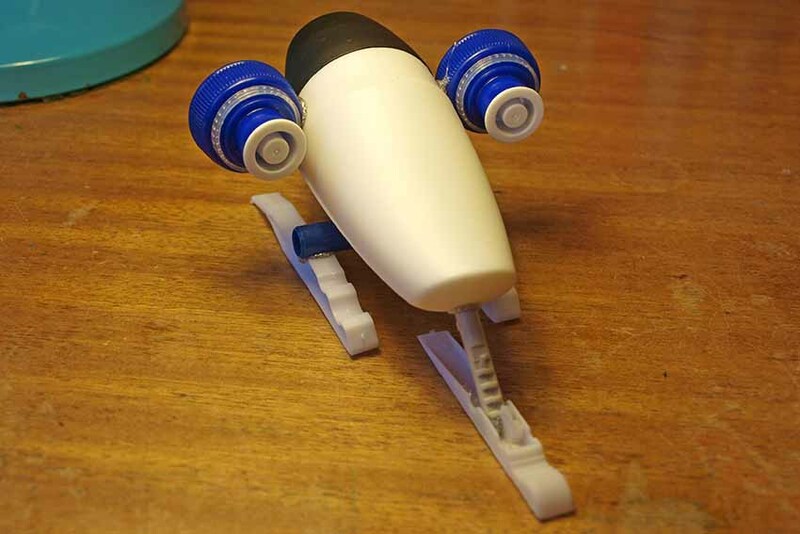 A wall plug glued to the nose of your racer looks great. 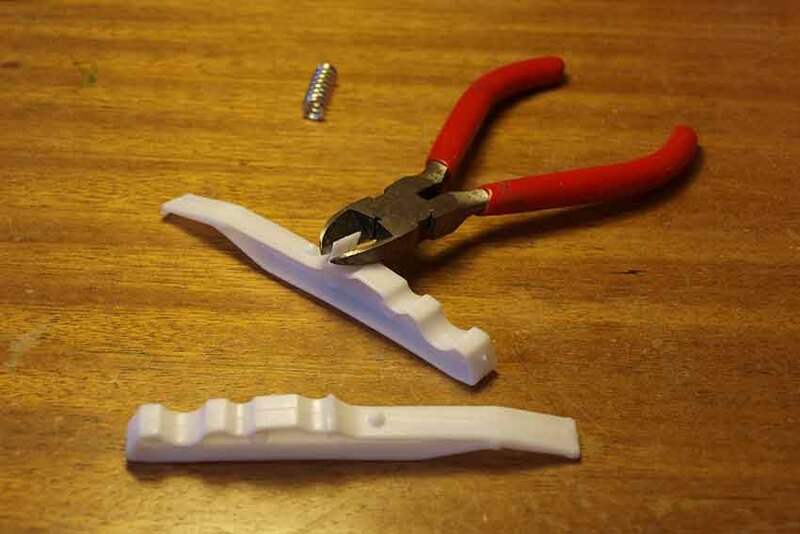 Trim off any rough edges and bits of unwanted plastic with a craft knife or snippers. 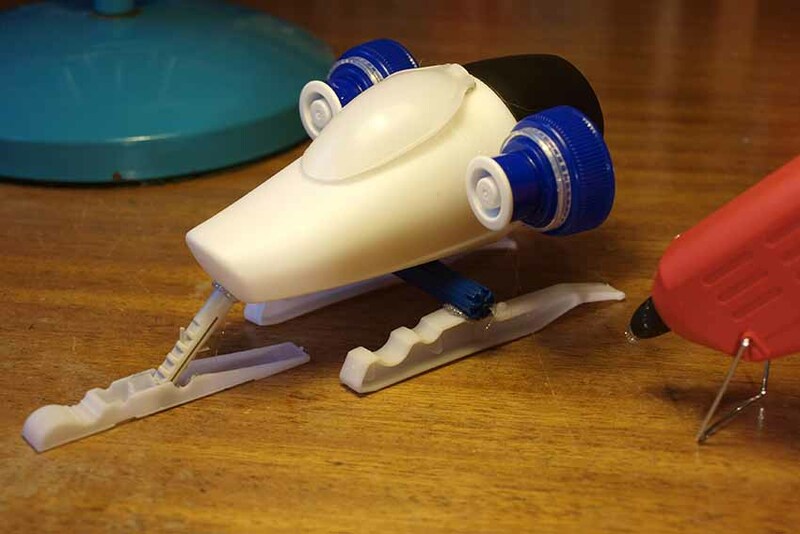 Glue the deodorant stick to the sled you made earlier. 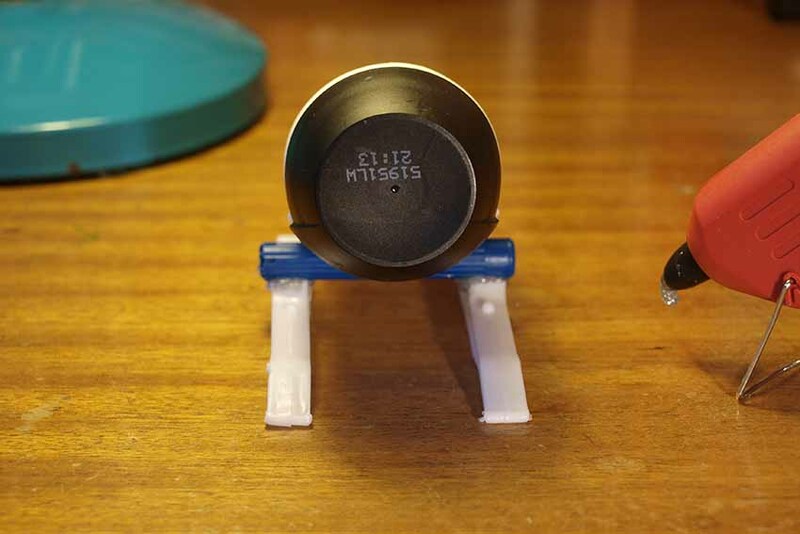 Hold the deodorant stick level until the glue has cooled and set. 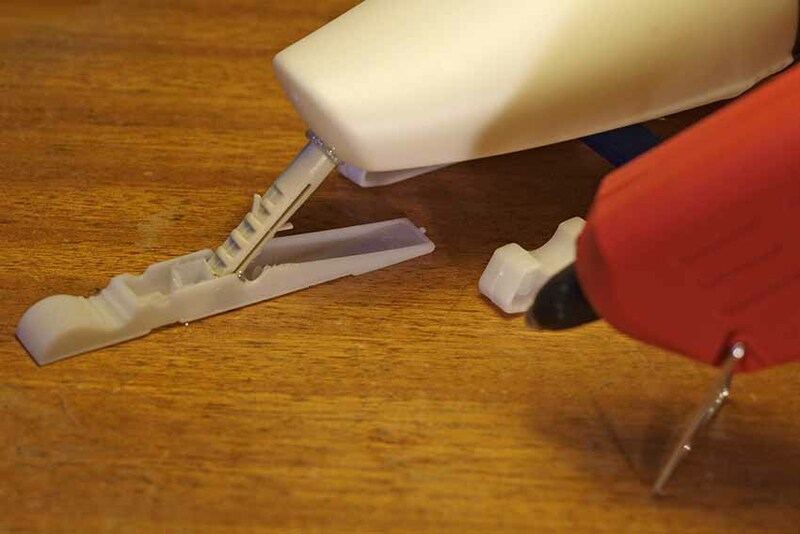 Glue the front landing leg to the nose of your Space Racer and check that it is lined up before the glue sets. 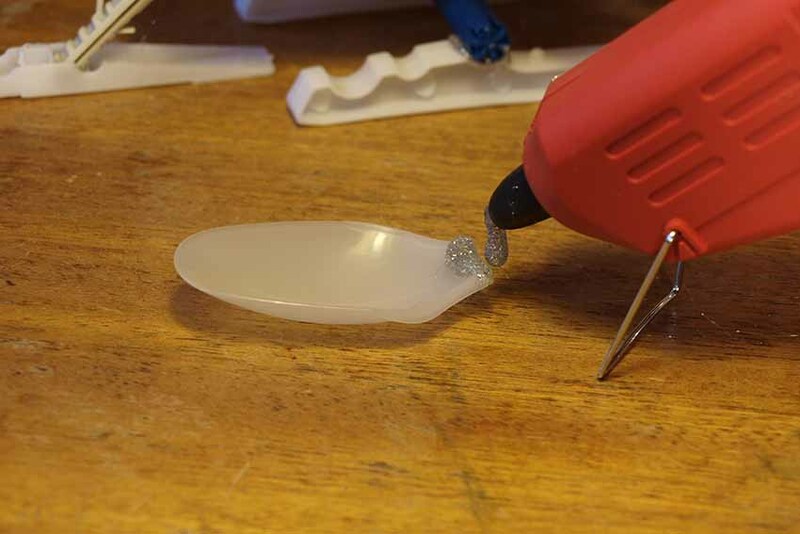 Squirt glue on the cut end of the spoon. This will be the cockpit canopy. There’s no need to glue the entire rim. Ask an adult to help spray paint your racer. This is best done outdoors from a washing line on a dry day. Add the FREE cut out stickers provided and start up your engines.